This video features the long-standing traditions that differentiate Brandywine Global as an asset manager. We believe in the power of value investing. Acting with conviction and discipline, we look beyond short-term, conventional thinking to rigorously pursue long-term value for our clients. Where others see risk, we see potential. Since 1986, our global experience has provided clients with investment insights and a range of differentiated fixed income, equity, and alternative solutions. We thrive in a culture of debate that encourages ideas, respects diverse viewpoints, and invites candid discussion. By challenging one another and conventional thinking, we make better investment decisions and create value for our clients. Brandywine Global, as an independent affiliate of Legg Mason, offers the advantages of an investment boutique backed by the resources and infrastructure of one of the world's leading asset managers. With headquarters in Philadelphia and offices in London1, Singapore2, San Francisco, Toronto3, and Montreal3, we are committed to bringing value to all our relationships. Our mission is to deliver superior outcomes for our clients by encouraging independent thinking and challenging one another in a culture of integrity and mutual respect. *Does not include $2,029M in assets for which Brandywine Global provides non-discretionary investment management services. Non-discretionary assets are reported on a one month lag. Brandywine Global incorporated in 1986 as Brandywine Asset Management, LLC. After building a track record with large- and small-cap domestic value strategies, we sought to increase the depth and breadth of our products to meet the needs of our clients. In 1992, we introduced our first global fixed income strategies. In January 1998, Legg Mason, Inc., a New York Stock Exchange-listed company which has been providing investment services to institutions and individuals since 1899, acquired Brandywine Asset Management. 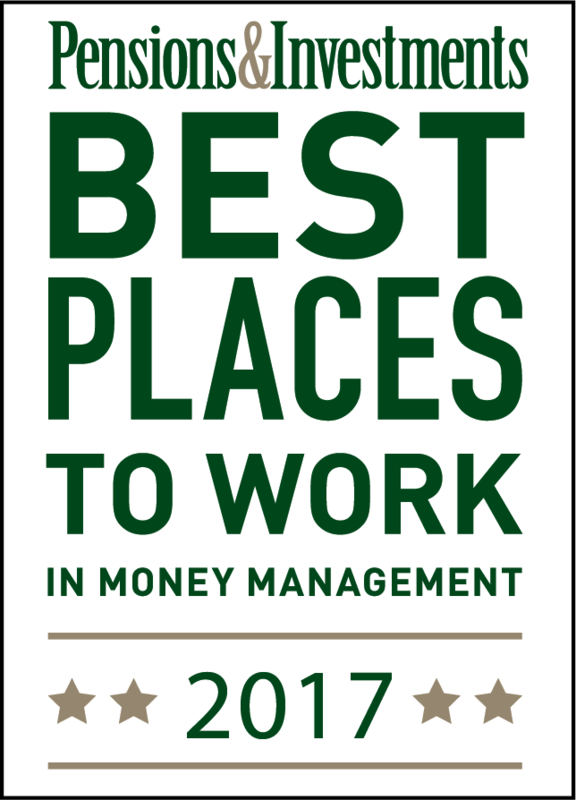 Operating as a wholly owned but independently operated subsidiary of Legg Mason, Brandywine Global continues to retain complete investment autonomy and full control over all management, strategic, and employment decisions. Since the late 1990s, the firm has grown significantly, both in assets under management and global breadth. In 2003, Brandywine Global Investment Management (Asia) Pte. Ltd., was established as a wholly owned subsidiary of Brandywine Global Investment Management, LLC, providing a full range of investment advisory and fund management services to institutional clients in Singapore. 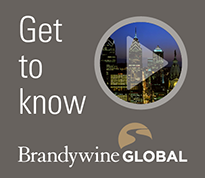 In May 2006, our firm relocated its headquarters from Wilmington, DE, to Philadelphia and changed our name to Brandywine Global Investment Management, LLC. In 2007, the firm established Brandywine Global Investment Management (Europe) Limited, a wholly owned subsidiary of Legg Mason, Inc. (NYSE: LM) controlled and operated by Brandywine Global Investment Management, LLC. Data as of 3/31/2019. There is no guarantee that holding securities with relatively high (or low) price-to-earnings, price-to-book or price-to-cash flow ratios will cause the portfolio to outperform its benchmark or index. The views expressed in this document are not intended to be a recommendation or investment advice and do not take into account the individual financial circumstances or objectives of the investor who receives it. The securities described herein may not be suitable for all investors. There is no guarantee that Brandywine Global Investment Management, LLC will meet any of its investment objectives. Brandywine Global’s selection process may prove incorrect, which may have a negative impact on performance. This information should not be considered a solicitation or an offer to provide any Brandywine Global service in any jurisdiction where it would be unlawful to do so under the laws of that jurisdiction.